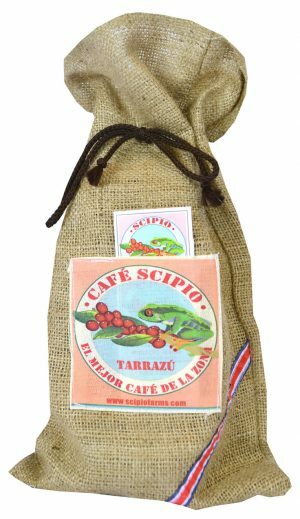 The Tarrazú region in Costa Rica, also known as “The Zone of the Saints” produces one of the most exquisite coffee bean harvests of the World. 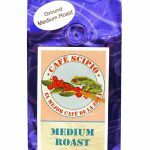 There are three major factors contributing to this refined bean’s unique quality and incomparable flavor. The first is the altitude of the region, which is between 1,300 to 1,800 meters above sea level. 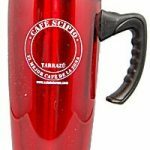 The second factor is the species of coffee plant that is used. 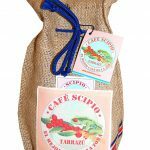 “COFFEE ARÁBICA” plants are sowed producing the highest quality beans, which are known as “CATURRA” and “CATUAI”. The third and final factor is the climate, which includes an annual precipitation of 2,000 mm. and an average of 2,150 hours of sunlight per season. 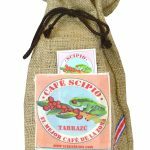 These ideal conditions come together producing an extraordinary fruit with excellent flavor, intense aroma and high acidity. 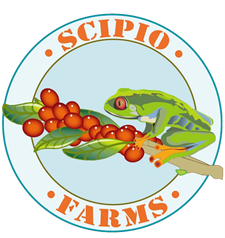 Café Scipio is produced harmoniously with the environment to insure that future generations will continue to enjoy its rich, distinct and natural flavor. Thank you for trying and continuing to enjoy our coffee! 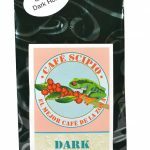 100% Ground Tarrazú Arábica Coffee Dark Roasted (S.H.B.) with decorative jute bag (hand-made in Costa Rica) with green cord. 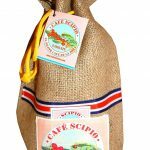 Be the first to review “2 X 1 LB COFFEE (DARK ROASTED – GROUND) IN GREEN BAG 2 GREEN BAGS INSIDE DECORATIVE JUTE BAG” Click here to cancel reply.